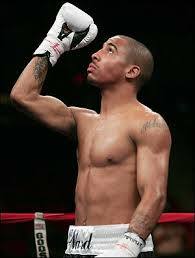 Andre Ward says he will beat Paul Smith and show the world he is back. The pound for pound great is back in the ring for the first time after 19 months against the British Challenger, in Oakland, California on Saturday night. Ward, number one in the Super- Middleweight Divison- even though this fight is at a catch weight of 172 lbs- has only fought once in almost 3years due to contractual issues with his former promoter. ← International Panic Day ! !